The local Branch of the Campaign for Real Ale run by a commited group of volunteers who are passionate about pubs, traditional ales, ciders & perries. As a part of CAMRA we aim to maintain consumer rights, promote quality, choice and value for money. We support the public house as a focus of community life and aim to increase awareness and appreciation of real ales, ciders & perries. Through our team of Brewery Liaison Officers (BLOs) we report regularly to National CAMRA HQ with the latest news, brews and general information on the breweries in our branch area. 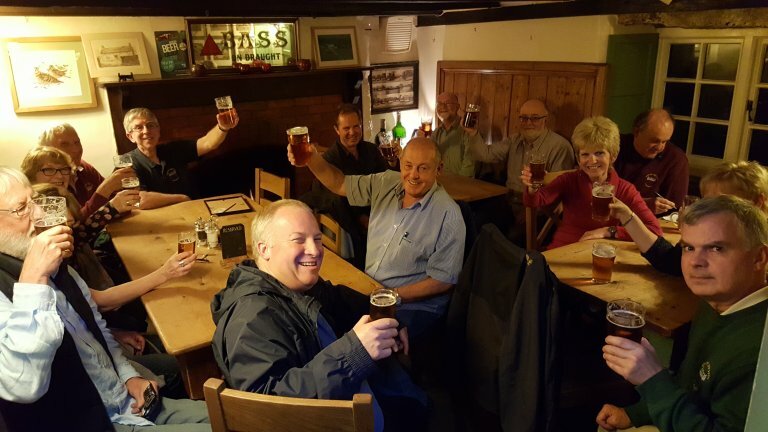 This website serves to provide information about our local and regional activities including information on our branch meetings and social programmes together with information on pubs, breweries and the growing number of local beer, cider & perry producers. We are very fortunate in South Devon to have almost 400 pubs scattered in the many towns & villages across our branch area, many of which serve a range of excellent real ales. Many advertise in our quarterly News & Brews Magazine which is distributed to key real ale outlets in our area and is available for download from this website. Our choice of pubs for inclusion in the national CAMRA Good Beer Guide is primarily made by Camra members, local and visitors alike, voting for the beers they drink and scoring them using the NBSS (National Beer Scoring System) via what pub.com. Please vote for every beer you drink be it home or away to ensure we have the best pubs in the GBG. Each spring we vote for our branch Pubs of the Year (POTY) with choices being made for the best town and rural pubs and an overall Pub of the Year. The winner then goes forward to the regional finals and potentially the national finals. We have a good record of success in the regional POTY finals. Our local membership is currently around 660. We are delighted to welcome new members and if you would like to be involved in branch activities socially, assisting at beer festivals, carrying out pub surveys for What Pub or acting as a Pub Liasion Officer please email any of the branch officials or just turn up at one of our meetings or socials which are all detailed in the Social Diary section of this website. We source and sell, at cost, a range of garments bearing the South Devon Branch logo and details of the range can be found on our Merchandise Range page. Visit the South Devon CAMRA Facebook page, keep in touch via the website and our News & Brews Magazine or even better, come and join us at socials and meeting. You will be amongst friends!